IOF 8C fixes can be downloaded as a composite cumulative fix file in terse format. All IOF/TSO and IOF/CICS fixes are packaged together in a single file. The IOF maintenance dialog will "receive" and "apply" fixes from the cumulative fix file. Modifying certain PSF parms for an output group can cause the userid destination field to be reset. The GROUP MG command and Job Summary M command do not display the group modify panels from batch TSO. With ThruPut Manager installed, incorrect return and abend codes can appear in the STAT field while jobs are in execution. LOG=ASIS is incorrectly specified on RACROUTE call for the ISFOPER.DEST.JESx and ISFOPER.ANYDEST.JESx in the SDSF class when it should be LOG=NOSTAT. SYSAFF1 field on "IOF Spool Volume Display" displays a value of "ANY" after the affinity on the spool volume has been set to NONE. Sysout data set compare function may get error IRS059E when comparing the JCL data set and running under z/OS 1.9. Earlier releases may get error ASMF001I. Abend ASRD(0C4) in IOFCIC, accompanied by CICS message DFHSR0618 with CICS/TS V3.2. CICS might then terminate with a DFHSR0603 message. This fix is required to run with CICS/TS V3.2. When the memo copy of SYSLOG is captured with an old version of SLAMMEMO, LOG OLD will get error "IRX0043I Error running exec, Line 94: Routine not found"
Abend S0C4 snapping the ACTION messages from the LOG function when fix U8C9035 is applied. New members created by some fixes end up with sequence numbers when they should not have any. The offload directory created by the JAROFFLD clist may be corrupted when certain fields are null. This fix supercedes fix T8C2374. JOBNAME mask ignored for PS command if overtyped on the "IOF Option Menu". Error "Invalid Panel" - "Requested panel name is not defined - using default" when issuing the CHK command to enter the "IOF Health Checker Display". appear on the "IOF Option Menu". A value of 2540 always appears in System level UIC value on the "IOF System Monitor" screen on z/OS V1.8 and above. Change the JAROFFLD error routine to show the error number as well as the error message. Add the HFSNAP line command to the IOF Job Summary to define an HFS target snap data set and snap the selected sysout data set to the HFS target. Error "Partial" / "Data truncated - data set still open on another system OR error in spool chain", error code 264, after application of fix 2334. It is also possible to receive an Abend S0C4. Abend S0C9 when SPV command issued while a new Spool volume is being formatted. LOG ARCH command gets error "There are no archived syslog datasets for prefix" in z/OS 1.8 and later systems. The format of LISTCAT output has changed slightly causing this problem. IEE311I message is issued when trying to use SD or SS command from within a CONSOLE. Changes in R8C caused IOF to interpret these as MVS command abbreviations for SETDMN and SETSMF. After application of fix 2302, special local routed dests of the form Unn..nn, where the "nn..nn" is larger than the LOCALNUM value on the JES2 DESTDEF statement that have a DESTID defined do not display the DESTID. "SCHENV value" error occurs overtyping the SCHENV column on the "IOF Job Class Display" and the "IOF Job Class Detail Display" if certain valid characters are used, such as "_". MAIL command cannot be displayed on the OPTUS1 or OPTUS2 option menus. It was supported in R7J. An S0C4 Abend might occur issuing the WLM command for resources or scheduling environments with a scope of MAS. is also used by the AT? command. 13Dec2007 The JM command overlays the high order digit of the HIGH and AVERAGE fields when the value is greater than 99999. 13Dec2007 Abend SB78-5C can occur if ALLOWUSERKEYCSA(NO) is specified in the DIAGxx parmlib member on a z/OS V1.8 or V1.9 system. On z/OS V1.9, ALLOWUSERKEYCSA(NO) is the default. 13Dec2007 No diagnostic information appears in long message if Job Summary ALLOC line command fails with RC=14101. This will add the SVC 99 Error Reason code to the end of the long message. 30Nov2007 Enlarge the TGNUM field on the SPV display to display more than 99999 allocated track groups. 30Nov2007 The "M" line command on the Output Group Display, and "MG" line command on the Job Summary may cause abend S0C4 when fields on multiple screens are modified. 19Nov2007 The OFFLOAD command reverses the directory and offload data set name PREFIX and SUFFIX parms. 19Nov2007 Refused error message received when attempting to SNAP LOG messages when ACTION messages are also displayed on screen and IBMSAF=YES is set in A60ACF option member. 19Nov2007 The maintenance dialog does not force NUMBER mode for the IOF SOURCE data set, so could cause a SOURCE data set to become unnumbered. Do not force plus continuation character to col 72 for any data sets except the SOURCE data set. 19Nov2007 System CPU time on the IOF System Monitor is skewed because zAAP/zIIP processors are included in the total CPU count. This fix removes both zIIP/zAAP processors from consideration in system CPU busy. 6Nov2007 The length of the Group Options Menu FORMS field is limited. With this fix applied, up to 64 characters can be entered in the FORMS specification field. 6Nov2007 Correct several minor problems with editing data sets, index entries and health checks. 6Nov2007 Overflow of Total System SIO rate on "IOF System Monitor" screen can cause confusing results. This fix changes the field such that when the total SIO rate exceeds "9999.9", IOF will drop the decimal which will allow it to range up to "999999". 6Nov2007 After application of fix T8C2329, edit cancel confirmation panel is displayed if any edit data is changed. For systems without APAR OA20562 applied this fix eliminates all IOF EDIT confirmation. This fix can be applied whether or not T8C2329 was previously applied. 6Nov2007 The SB command for a health checker may cause SAF errors when used from an id that has PROFILE NOPREFIX specified. 6Nov2007 Support for more than 32768 index entries. 6Nov2007 Invalid data is being displayed in the AVAIL field on the "IOF System Monitor" screen, when IOF is running on z/OS V1.7 or higher. It is referencing wrong field in RCT. 27Sept2007 The userid in IOF SYSLOG and OPERLOG index entries for RACF violations is shifted to the right. 27Sept2007 There is no help for the WLM Option Menu, or the Unix Option Menu. PF1 gives "Missing Help". 11Sept2007 SLAMRUN may terminate with RC 8 with multiple STOP commands are entered. 11Sept2007 IOFWTR can end with RC=12 or RC=908 due to clist error 804 referencing a SYSOUT parameter with invalid value. 11Sept2007 The CANCEL confirmation pop-up will always appear when ending an IOF edit session on z/OS V1.9 or higher, or after application of PTFs for APAR OA20562. Edits in IOF will also now honor the "Confirm Cancel/Move/Replace" of EDITSET. 11Sept2007 "Partial"/"Data truncated - data set still open on another system OR error in spool chain" can occur when trying to browse certain sysout datasets on z/OS V1.9 or above. 7Aug2007 Add the SETIOF Options Dialog Command. The new SETIOF command makes it easier to find and change IOF Options. 7Aug2007 JOBS in conversion can show DUP hold if previous job on list shows DUP hold. 7Aug2007 Blanks are displayed in the I/O count field for all jobs in the "Running Jobs" section of the "IOF Job List Menu", when option member B12XAIO is set to COUNT instead of CONNECT, and IOF is being used on z/OS V1.9 and higher. 10Jul2007 After fix T8C2320 is applied, editing RECFM(V) data sets may not include all the records of the data set. T8C2320 is a PREREQ for this fix. 10Jul2007 The EDIT command from an IOF Extended Console abends 013-034. IOF SS and SD commands are treated as MVS console commands. 9Jul2007 Editing the INPUTJCL data set for a job under z/OS 1.7 and later gets error ISRE186 for IOF$EF2 exec. 9Jul2007 Fix T8C2308 is in error. The VOLUME parameter was removed in in error. This fix can be applied whether or not T8C2308 was previously applied. 2Jul2007 Possible abend S0C9 invoking the SPV command when Large Dataset Support is active in JES2. 25Jun2007 RELEASE line command issued from Job List panel doesn't always release job's held output. Action area says REL, but IOF fails to issue $TOJ command. VIOF622 message may or may not appear in syslog. 25Jun2007 DEST operand on SS command truncated for some destinations. SS command gets "Sysout Alloc" error with error code 046C for some destinations. 25Jun2007 Correct a spelling error in the NEW8C HELP panel. MXSCOPE=(ALL,NOFORCE) is defined on GROUP macro in B23ALLOW. 25Jun2007 When NESTEXIT is selected in the MORE command dialog, "missing help" error is displayed. Attempting to print MORE output also gets "missing help" error. The Q command is not documented in MORE. 25Jun2007 This fix is in error and has been replaced by T8C2319. 25Jun2007 ASMA080E "Statement is unresolvable" caused by record 584 in RACF19M and ASMA043E "Previously defined symbol - xxxx" caused by record 509 iin RACF19M. 21May2007 The LRDT command is removed because it will not work in z/OS V1R9. 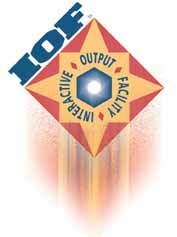 21May2003 Change IOF to use subsystem functions for destination processing in order to function with changes implemented in z/OS 1.9. Without this change IOF may abend S0E0-28, or destinations may not be converted properly when running on z/OS V1R9. This fix is required when running with z/OS 1.9. 15May2007 ISPF message VIOF443E is missing from message library. The error that causes this problem results from selecting too many options to be displayed on the IOF Option Menu. In addition, when PFSHOW is in effect part of the Option Menu may be overlaid. This fix reorganizes the "IOF Option Menu" to accomodate both problems. 15May2007 Add new hold reasons to the table of output group hold reasons. 15May2007 A CPU loop may result if a problem occurs trying to read a JES2 control block from spool in certain situations. 15May2007 The CICS NEW command for version 8C documents the SNAPPAN command which is not available under CICS. 2May2007 Abend S0C4 when JOBS line command is issued to a Job Class on the "IOF Job Class Display" and either a PREFIX or OWNER filter is in effect. filtering is in effect. This fix removes filtering from the SPV display. 2May2007 The SNAPPAN command on the NODES display does not display the PATH field. appear on the "IOF NJE Nodes Display" when parameters are specified. 2May2007 The IOFCPUSR exec gives the wrong seconds value for IPL time. 2May2007 The TGNUM, and possibly the USED and PCT fields on the "IOF Spool Volume Display" panel will contain invalid values if the number of track groups on a spool volume exceeds 32,767. 2May2007 The OUTQUE clist may not sort properly. When taking a control break the clist may fail "invalid &SUBSTR range"